A Big Thank you to all our customers for the winter season! We are taking a break 12.2-23.3 and we open again on 24.3 at 12.00. 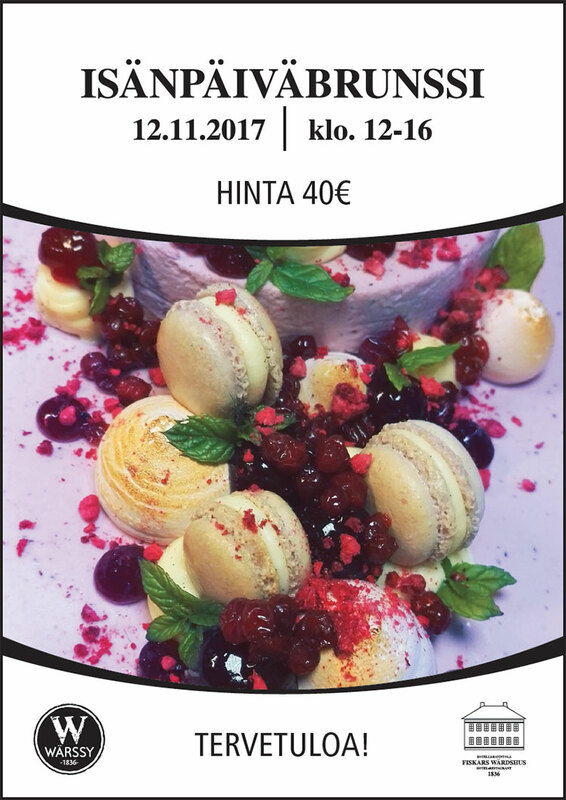 There is a private gathering in our restaurant on Friday 5.1.2018 starting at 16.00 hours. Therefore our doors are closed that evening. We wish all our lovely customers a Happy New Year!! We have no lunch service on Wednesday Sep. 30.2017. We open at 16.00. Welcome! The last Barbecue was such a success we decided to throw a new one! Welcome and enjoy a relaxed atmosphere, good food and cold drinks! Take brilliant company with you and come have a good time! Here at Wärssy we firmly believe any weather is good for a barbecue! We wish all our customers a pleasant week! The party goes on in the form of a Brunch 1.5 at 12-16. Relax, lean back and enjoy the coming springtime with a glas of Champagne and a good meal!